You’re Invited! 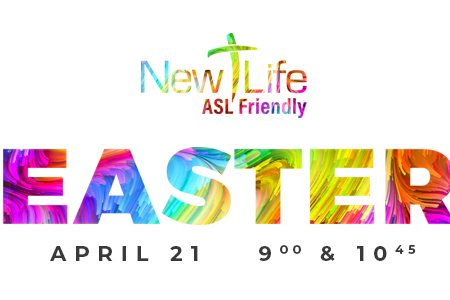 Join us at New Life Church to celebrate Easter with your family and friends. Child Care available with pre-registration. Enjoy coffee in the sanctuary and great conversation with our friendly congregation. Two Services available!